Manitoba’s tenancy laws now include new sections relating to tenancies where landlords provide tenant services such as meals, light housekeeping and transportation. The new provisions became effective November 1. Landlords who manage these facilities will want to review The Residential Tenancies Amendment Act. 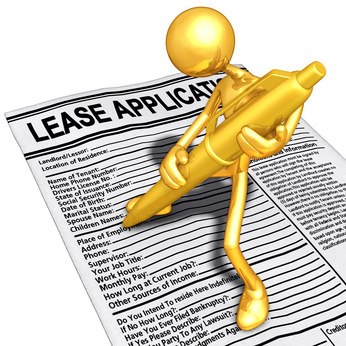 Give new tenants a written tenancy agreement in the required form. Enter into a written tenancy agreement in the required form with all existing tenants by May 1, 2012. Specify both the amount payable for rent and the amount payable for tenant services on the tenancy agreement. Give new tenants a Notice to New Tenant form regarding the tenant services charge. New tenants must also receive a Notice to New Tenant form regarding the rent on the unit. Provide tenants three months notice of any tenant services charge increase using the required form. Increases are limited to once every 12 months. The amount of the increase is not regulated. If landlords are increasing rent at the same time they are increasing the tenant services charge, landlords must give tenants separate notice of the rent increase. Give tenants three months written notice if the landlord plans to reduce or withdraw a tenant service. If a landlord plans to reduce or withdraw any other service, tenants must also receive three months notice. Allow all tenants the opportunity to comment about the tenant services and the operation of the complex. This can be done in various ways that are set out in the regulations. Follow special rules in the regulations if the landlord offers tenants cash management services. When the new provisions take effect, landlords will be entitled to collect a tenant services security deposit from new tenants. The deposit may be up to one-half of the monthly tenant services charge. This is in addition to the security deposit that landlords are also entitled to collect. The forms mentioned above are available on the Manitoba Residential Tenancies Branch website in fill and print format. Hi, just wondering, I know its legal for a landlord to tell you when there is a quiet time, but I was wondering if its ok for them to tell us when we have to have friends out even if we are quiet and not causing any disruption to anybody else in the building. It would be great if I could get a response, Thank you!! !